Batman Triple Barrel Grapnel in Singapore! Batman Triple Barrel Grapnel spotted at Toys R Us in Singapore! Another New Air Zone Blaster in Singapore! Another new Air Zone blaster spotted at Toys R Us in Singapore! True Heros Foam Melee Samurai Swords in Singapore! True Heros foam melee samurai swords spotted at Toys R Us in Singapore! Comes in various colors at the handle. The foam material is much softer than that used in Nerf N-force foam melee swords. Grenade Splasherz spotted at Toys R Us in Singapore! Fun alternative to DIY dummy foam grenades! Even more New Air Zone Blasters in Singapore! Even more new Air Zone blasters spotted at Toys R Us in Singapore! More New Air Zone Blasters in Singapore! More new Air Zone blasters spotted at Toys R Us in Singapore! 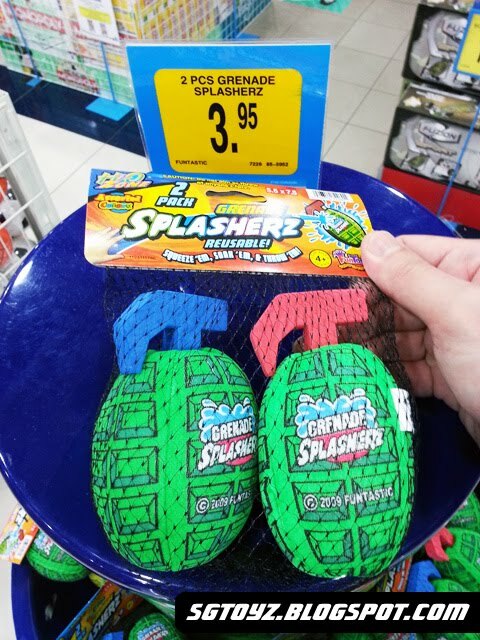 New Air Zone & Xploderz Blasters in Singapore! Spotted at Toys R Us in Singapore... new Air Zone & Xploderz blasters! SG Toyz is a companion site to SG Nerf blog. Check out all the latest alternative brand blasters & accessories here! No-Brand Semi-Auto Blaster - Review! Photon Storm Blaster - Review! Buzz Bee Belt Blaster - Review! Buzz Bee Hunter - Review! Buzz Bee Double Shot - Review! Buzz Bee Rapid Fire - Review! Kung Fu Panda Commander Crossbow - Review! Air Zone Power Strike Quick Fire 48 Blaster - Preview! Lanard Scatter Blast - Review! Copyright © 2009 - 2012 SG Nerf. Powered by Blogger.